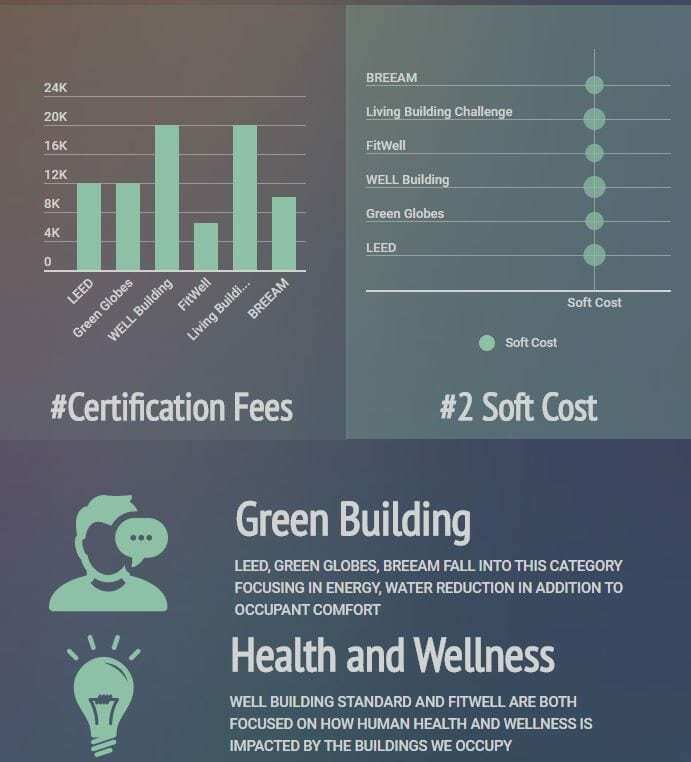 Which Green Certification is Right for You? How can cove.tool help? With the growing focus on building performance, our market has also grown to have many competing certification types at varying prices and market recognition. As a co-founder at cove.tool , the automated sustainability consulting firm, we get to test the boundaries of many different certifications, and we put together a few quick take away. So, if we are trying to certify a 50,000 sf building, here’s how things stack up. *The graphic above shows information from projects done and researched. Varying the project size and complexity would impact significantly the values shown above. The certifications vary widely in their fees and market recognition. What doesn’t vary, is the impact they intend to have on the built environment. Up until the early 2000s spending additional money to do an energy efficient building was a foreign concept. With these certifications pushing the conversation forward, that is starting to become industry standard. The same market from a WELLness standpoint is enabling owners, building occupants and designers to ask some difficult questions to drive this change.